Rancho San Marcos Golf Course is conveniently located in Goleta, 15 minutes from downtown Santa Barbara, and we have made arrangements with several world-class hotels to offer you the finest lodging in the area. Come to Goleta and have a vacation or weekend getaway that cannot be surpassed. From the Moment we opened in January of 1998, Rancho San Marcos Golf Course has been a classic. Designed by legendary golf architect Robert Trent Jones Jr., this course became the talk of the community by offering a world class golf course on 300 spectacular acres. This course is both a treasure to behold and a strategic challenge that no golfer can resist with a staff of individuals dedicated to ensuring your golf experience is the finest it can possibly be. 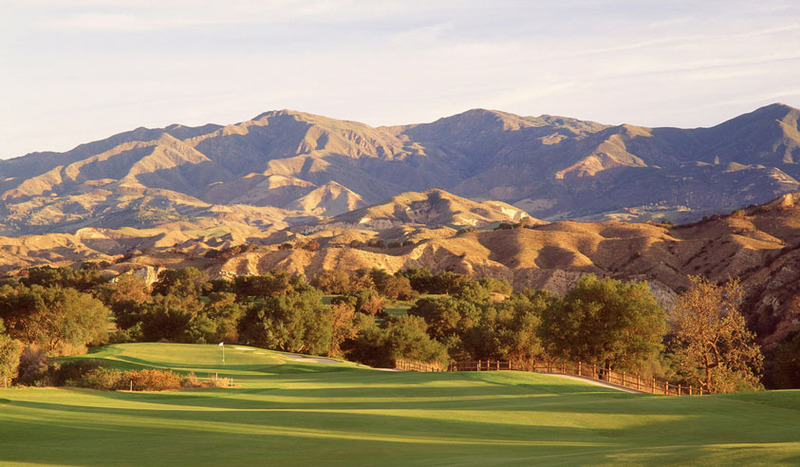 This 6,939-yard par 71 course offers stunning views of the Santa Ynez River Valley, distant furrowed peaks, and eagles soaring above Lake Cachuma – without a trace of urban development in sight. Rancho San Marcos, tucked deep into the valley floor of the Santa Ynez Mountains, has kept the essence of the old ranch which was located here since the Spanish land grant of 1804. This simple and pastoral setting combined with the classic game of golf, makes Rancho San Marcos the ideal location to forget the troubles of the world and reminisce on a quieter, simpler time. Rancho San Marcos is conveniently located 15 minutes west of the Goleta/Santa Barbara beaches, and 15 minutes east of the wine country community of Santa Ynez and Danish village town of Solvang. For the adventuresome, the surrounding valley offers hiking, horseback riding; wine tasting and unique shopping in the quaint neighboring communities. The Mediterranean climate of Goleta to the west, hosts famous ocean beaches with a variety of recreational activities as well as fine bistro dining and intriguing shopping choices. "Target golf in a wonderful setting"